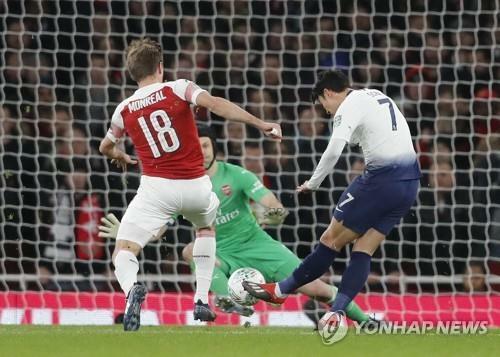 SEOUL, Dec. 20 (Yonhap) — Tottenham Hotspur’s South Korean forward Son Heung-min has scored his sixth goal of the season in his club’s 2-0 win over Arsenal in a domestic cup competition. 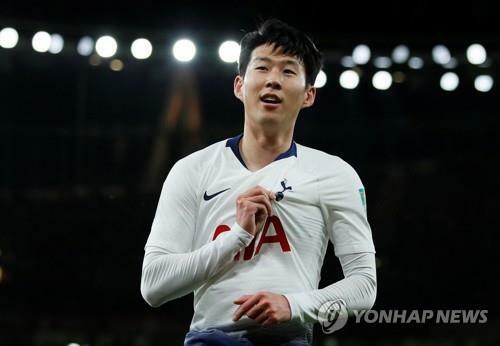 This was Son’s sixth goal in the 2018-19 season, including his three goals in the English Premier League (EPL). The 26-year-old previously netted twice in Spurs’ 3-1 win over West Ham United at the Carabao Cup on Oct. 31. ㅍAgainst Arsenal, Tottenham’s north London rivals, Son started up front as a striker, supported by Alli, Christian Eriksen and Lucas Moura. With the goals from Son and Alli, Tottenham advanced to a two-legged Carabao Cup semifinal against Chelsea.